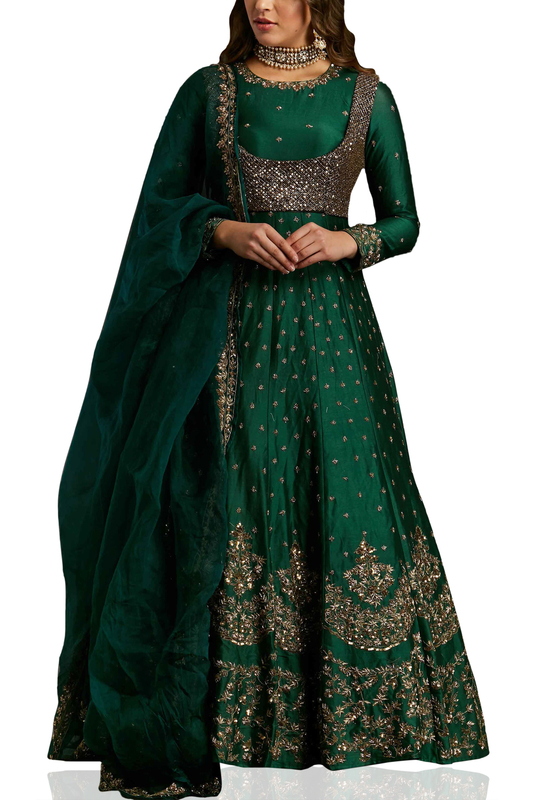 Emerald green anarkali set designed by Astha Narang at AASHNI+CO. 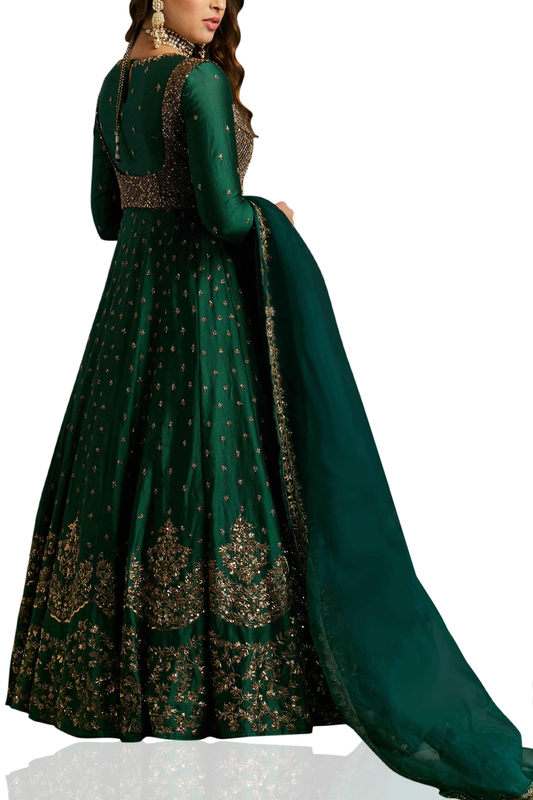 Astha Narang bespeaks sheer opulence at every glance in an emerald green anarkali with an embellished applique paired with a dupatta in net. Accessorize your look with a pearl and crystal choker and a tasseled potli.